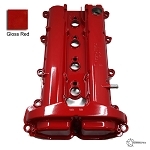 - Polished Aluminum, lightweight and will not rust. - No weld seems! CNC mandrel bent for the best fitment and smoothest air flow. 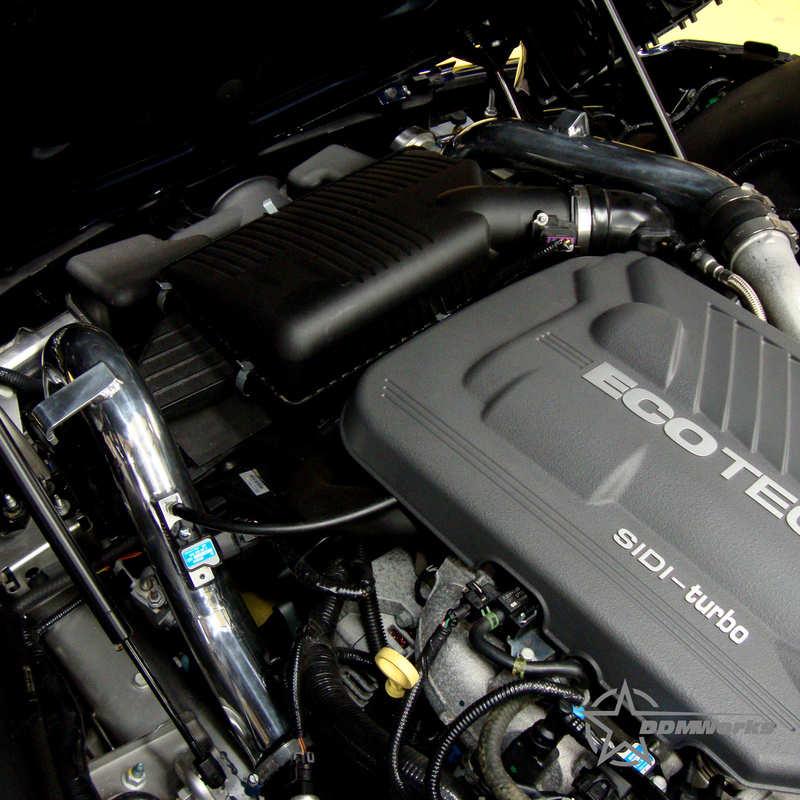 - No need to reuse or modify stock rubber turbo or intercooler hoses. - Passenger side tube extends to the turbo for a much more secure fit. 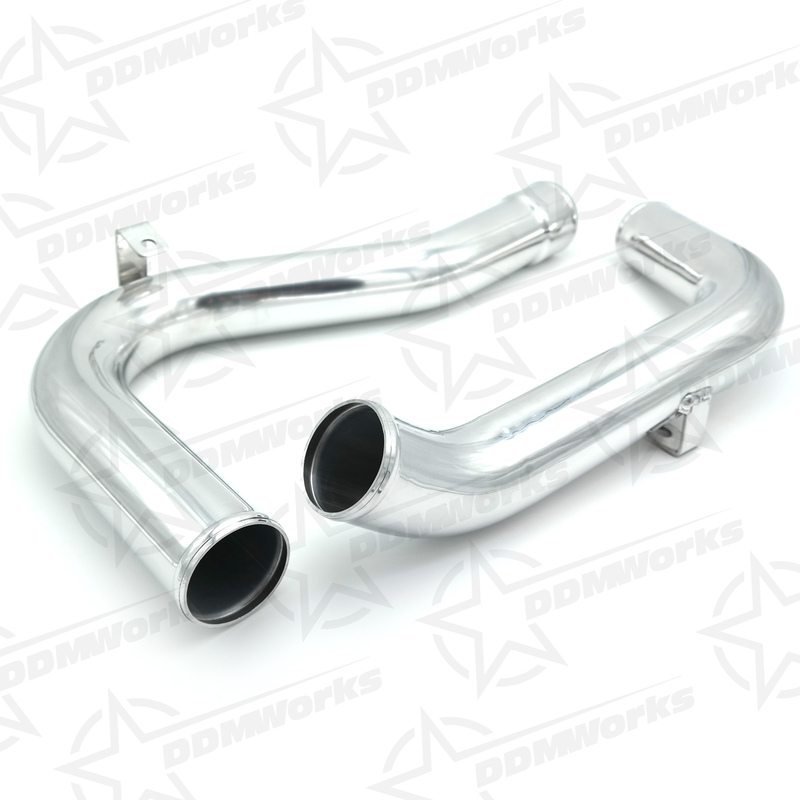 - New custom silicone turbo and intercooler hoses included. - Hardware for installation provided. The intercooler charge tubes from the factory have areas where the tubing is crushed down flat which causes turbulence in the air flow. 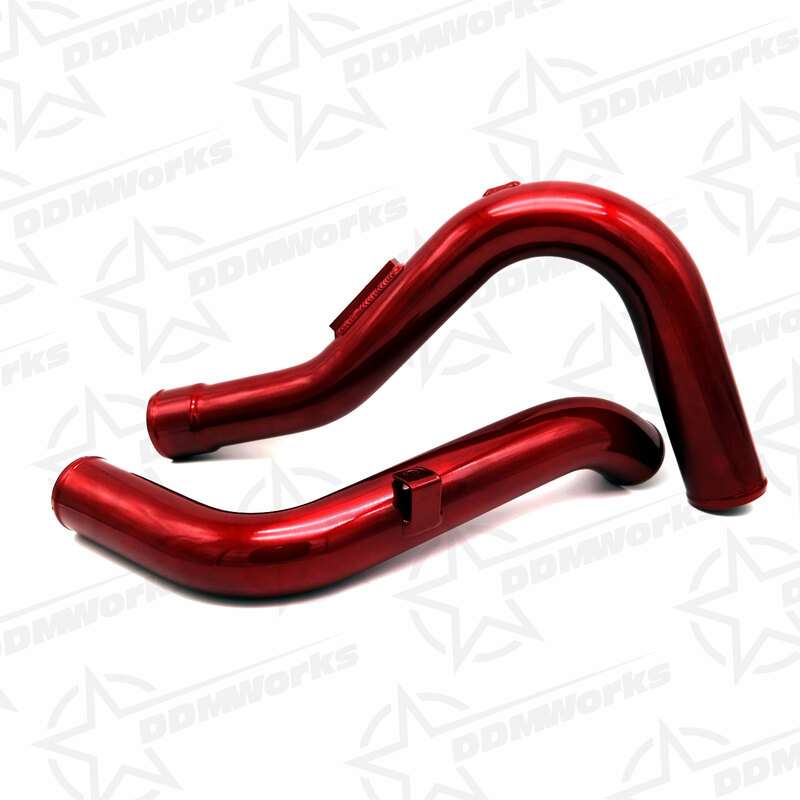 Our 2.5" full length tubes are custom made from a single piece of lightweight aluminum just like the factory tubes, but are CNC mandrel bent for the great fitment and the best air flow. 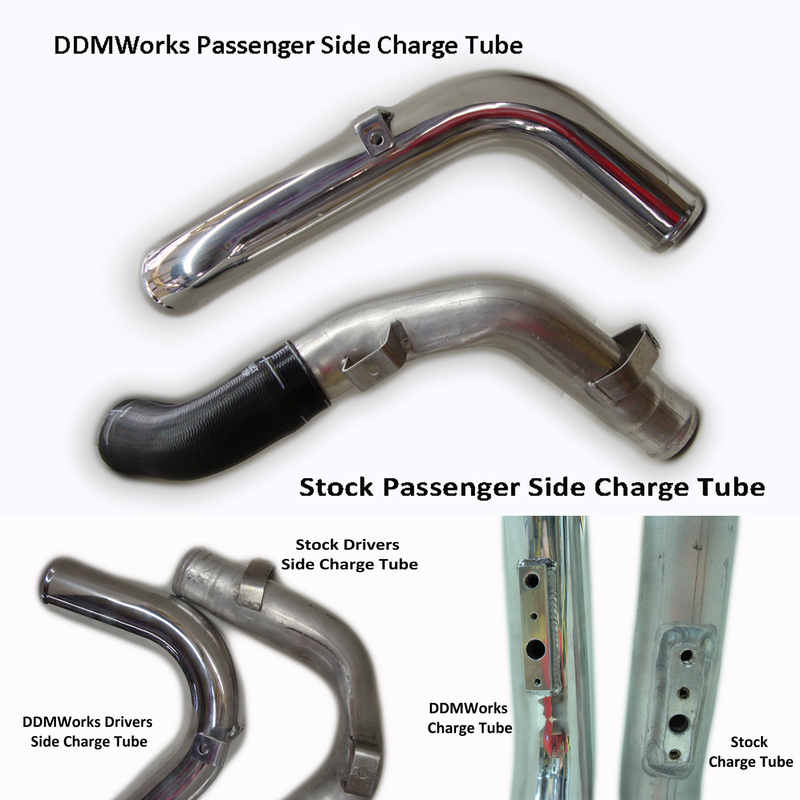 Our intercooler tubes are a direct factory replacement for the stock tubes with simple removal of the stock pieces and then installation of the new tubes. 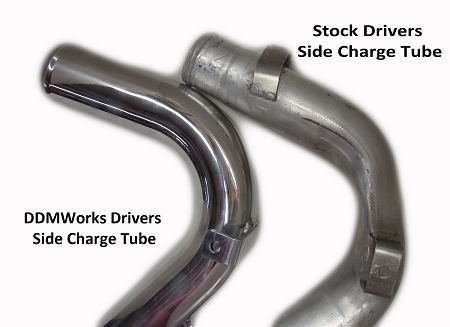 Our passenger side charge tube, is uniquely designed to go all the way from the intercooler to the turbo. 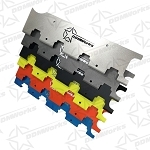 The advantage to this is you will not have to reuse the weak stock rubber piece that usually connects the turbo to the stock charge tube, but instead use the strong silicone adapter that is also included in our kit providing a much more secure connection for higher pressures. All of our tubes come with the side mounting brackets on them like stock, which helps to hold the tubes in the correct place, and prevents the movement of the tubes, which sometimes causes the tubes to hub under the hood. The tubes come standard in a highly polished finish, for great looks and long term durability. Installation instructions are included along necessary installation hardware. New silicone connectors sized perfectly to make the proper connections to the turbo and intercooler, no need to modify or reuse your old ones!